Beneath a fall of water and light, warm waves rock gently against the earth. Wings summons their soft dancing spirits with this cuff, hand-rolled and -milled of sterling silver ingot that shines like ripples on the surface of a quiet lake. 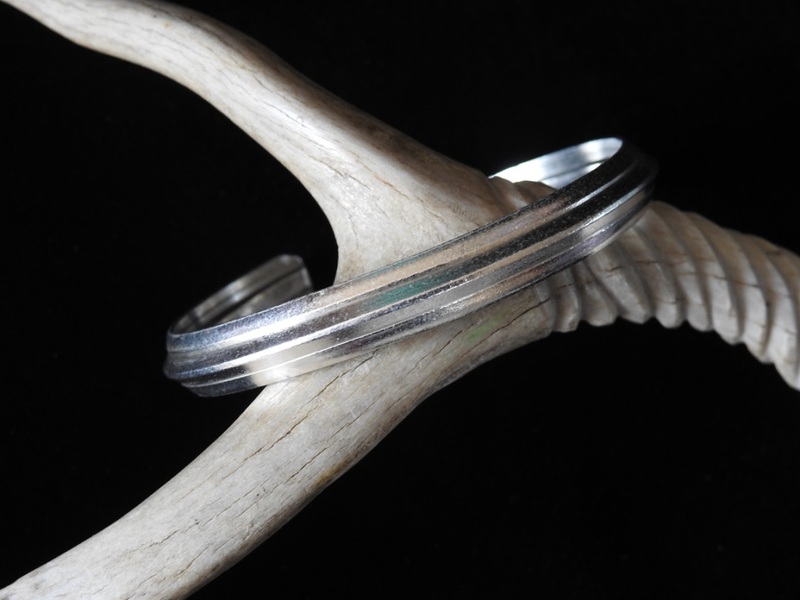 The band is solid and substantial, milled to produce a crested wave down the center of its length, cradled gently by finer waves on either side. Its finish is buffed to a smooth texture and a soft polish just shy of Florentine. The band is 6.5″ long by 6/16″ wide (dimensions approximate). Posted on Saturday, October 27th, 2018 at 1:05 pm. Filed under: Bracelets, Cuffs and Links and Bangles	RSS 2.0 feed.